We are thrilled to be the Gold Sponsor of the SharePoint Conference North America, returning to Las Vegas in May 2018 by popular demand. SPCNA18 presents a premier opportunity to hear experts from Microsoft and the global community on everything Office 365, SharePoint and OneDrive! Join us at the largest SharePoint Conference of its kind in North America. Colligo is thrilled to be a Gold Sponsor for the first annual Office 365 Saturday Vancouver event for Office 365 administrators, end users, architects, developers, and other professionals that work with Microsoft SharePoint Technologies. Office 365 Saturday was previously known as SharePoint Saturday Vancouver (4th such event hosted in Vancouver) but this is the first event expanded to the entire Office 365 product set. SharePoint On-Premises versions will also be discussed. Join us at UBC Robson Square on April 14th, 2018! We're back this year at ESPC! ESPC is Europe’s leading online community, providing educational resources and encouraging collaboration. Each year ESPC gathers SharePoint, Office 365 & Azure experts from around the world in one European location for the largest conference of its kind. We're thrilled to be a Platinum Sponsor at the 3rd annual SharePoint Saturday (SPS) London. Come and meet the Colligo team at Imperial College or email us to book a meeting. See you in London! We're delighted to be sponsoring the inaugural Digital Workplace Experience (#DWEXP17) conference in Chicago, June 19-21. Our team will be exhibiting and participating in many of the great sessions. This three-day event will gather enterprise collaboration leaders to share digital workplace tools and practices via live demos, co-working sessions, innovation panels and cross-organization performance data sharing. ARMA Canada Conference brings together professionals from across Canada to provide them with the resources, tools, and training they need to effectively manage records and information within an established information governance framework. Join the session "Mobile Email Records Management is Here Now!" to hear Riyaz Lakhani and Bruce Herzer from Colligo as they discuss the challenges and solutions for managing emails records of today's mobile workforce. To learn more, contact us to book a meeting with Riyaz or Bruce. Colligo is proud to be a Gold Sponsor at the 2nd annual SharePoint Saturday (SPS) Vancouver. Come and meet the Colligo team at UBC Robson Square or email us to book a meeting. We also invite you to join Riyaz Lakhani, Director of Professional Services & Support, at his session "Mobile Era of Knowledge Management – Controlled Distribution is Vital!" to learn how to distribute enterprise content in a controlled way – to both empower mobile collaboration, while governing mobile activity and content. Colligo is excited to be in Calgary on April 1, 2017 as the Silver Sponsor of the 4th annual SharePoint Saturday (SPS) Calgary event. Join Colligo's Riyaz Lakhani, Director of Professional Services & Support, at the session, "Mobile Email Records Management is Here Now," as he discusses the challenges, strategies and solutions for implementing email records management policies for mobile enterprises. You're also invited to email us to book a meeting. 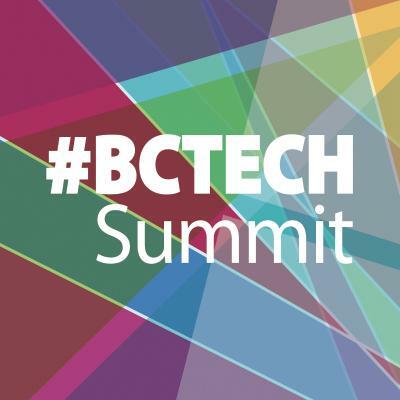 #BCTECH Summit returns to celebrate BC’s vibrant technology industry! Colligo is looking forward to connecting with other technology leaders in BC on March 14 & 15, 2017 at the Vancouver Convention Centre. Look for our partner, Microsoft, and come by the booth to meet the Colligo team or email us to book a meeting. Colligo is excited to be returning to the European SharePoint Conference as a Gold Sponsor. Each year, ESPC gathers leading SharePoint and Office 365 thought leaders from around the world in one European location for the largest conference of its kind. This year’s conference takes place in Vienna, Austria, and features 100+ sessions with the world’s leading experts on SharePoint, Office 365, Yammer, Azure and related Microsoft technologies. Come meet the Colligo team in beautiful Vienna!